If you'd rather wear boots and sneakers than sandals, this is your kind of season. It's officially time to start thinking about winter shoes if you haven't already. We took it upon ourselves to scour the stock of some of our favorite shopping sites to see which styles are already flying out of stock or are likely to soon. Among our edit of the hottest shoes right now are a pair from Net-a-Porter's exclusive Chloé collection, new sneakers from the French brand Meghan Markle just wore, and plenty of options to help you brave the winter elements as stylishly as possible. If you love shoes, we're about to make you very happy, if we do say so ourselves. Keep scrolling to shop 21 hot pairs of shoes that will probably be gone by November 30. All of By Far's shoes are a hit, but these seem to be the It pair of the season. No one will know these aren't designer. 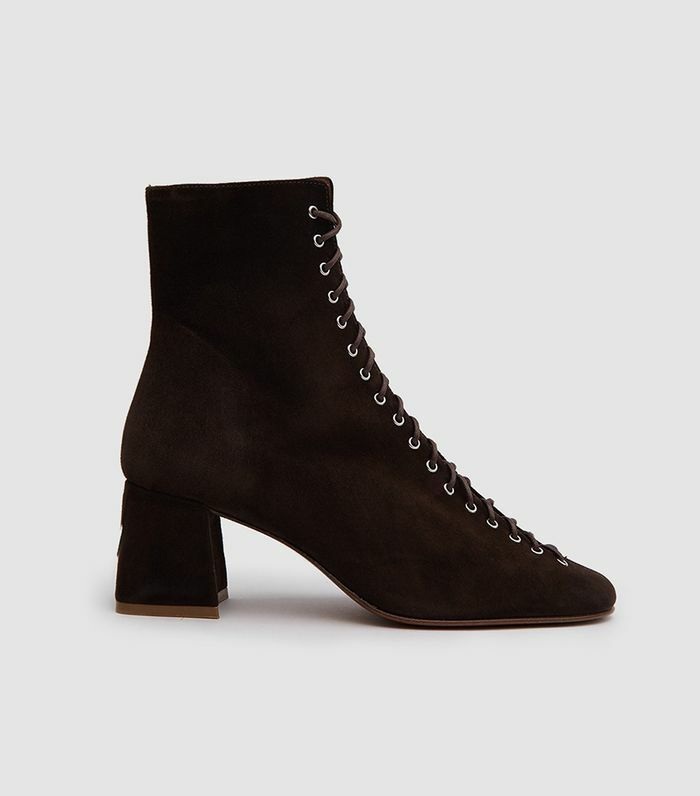 This Net-a-Porter-exclusive version of the Rylee boots is a hit. Fendi has the chicest logo pieces in the game right now. Meghan Markle just wore Veja sneakers, and now they're flying out of stock. Another season, another pair of perfect The Row shoes. The fashion crowd is losing it over this new brand. H&M is really excelling at hiker boots right now. These might be the freshest Western boots on the market. These will stop people in their tracks. If you get your hands on these It shoes, consider yourself lucky. As you can see, Attico's shoes just keep getting better. Need a break from leopard print? Try these. Pair these showstoppers with dark-wash skinny jeans. Here's another pair of shoes that you'll be lucky to get your hands on. This is an excellent use of corduroy. Do prettier shoes even exist? Meet the 2018 version of Dr. Martens. Invest in a pair of shoes from this buzzy brand ASAP. Patent leather makes everything better. Next up, shop the hottest shoes from October.